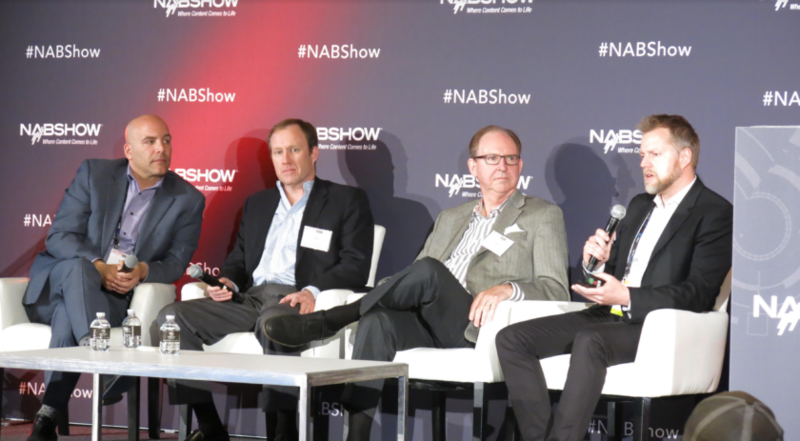 LAS VEGAS — The Motion Picture Association of America (MPAA) and the Content Delivery & Security Association (CDSA) offered up details around their new film and TV content protection initiative, the Trusted Partner Network (TPN), April 8 during the Cyber Security & Content Protection Summit at the NAB Show. Geared toward helping media and entertainment companies, across the entertainment supply chain, prevent leaks and breaches around film and TV content during pre-release windows TPN’s goal is to elevate the security standards of the industry’s production and distribution supply chain by offering vendors an unified industry assessment process of their security preparedness, covering facilities and workflows, by vetted, accredited and experienced assessors. TPN will give content companies access to a central directory of “Trusted Partner” vendors around the world, showing what services they offer, and will allow them to identify when and how vendors have been assessed on their security to the MPAA Content Security Best Practices, noted Ben Stanbury, CDSA chairman and CTO of TPN. And for vendors, TPN aims to reduce the number of assessments by various companies and methods every year, offers controls specific to the needs and workflows of what they offer, creates a competitive environment for assessment pricing, and gives them a chance to promote how secure they and their services are by displaying the TPN logo. On the assessment front, everything from remote assessments to full, on-site facility assessments will be made available through the platform, which will also migrate to application security and cloud platform security. And the individuals looking to be qualified as an assessor will undergo a strict review process — undertaken by the MPAA — looking at their expertise in the business of securing pre-release content, their certifications, and their knowledge in the entertainment supply chain and associated technologies. “It all comes down to the people in this program who will be performing these assessments, give us the consistency we’re looking for,” said Kurt Fischer, director of content security for the MPAA and COO of TPN. The MPAA will actively recruit and test assessors around the world, with their team validating credentials of candidates in a rigorous vetting process that includes reviewing their security experience and certifications. Using TPN, vendors will work via a secure, online platform to request and oversee an assessment by a TPN Qualified Assessor. Additionally, TPN assessments renew every year, with assessment costs negotiated outside of the platform and only between TPN assessors and the vendor themselves. The MPAA Content Security Best Practices provide the public guidance for the TPN and will be continually improved as the security needs of our industry evolve. CDSA will provide guidance and governance on the development of assessable controls for TPN’s service areas while MPAA develops and maintains the program for vetting and qualifying assessors. CDSA will also leverage its existing committees to develop and maintain industry awareness programs. The half-day, inaugural Cyber Security & Content Protection Summit provided technology and business updates on cybersecurity and anti-piracy initiatives in both film and television. It was produced by the Media & Entertainment Services Alliance (MESA) and the Content Delivery & Security Association (CDSA), in cooperation with the NAB. Microsoft Azure, Dolby, NAGRA, the Digital Watermarking Alliance and Convergent Risk sponsored the event.